Very spacious (about 45 m²) double, friendly and comfortable equipped. 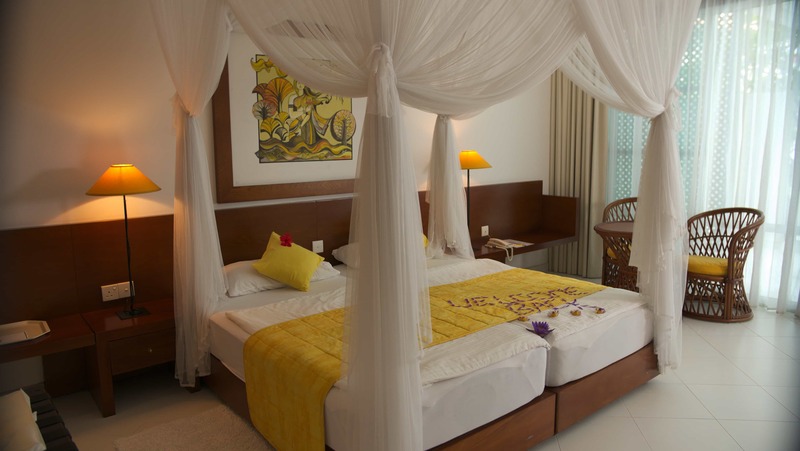 Two single beds with canopy for the mosquito net, seats. 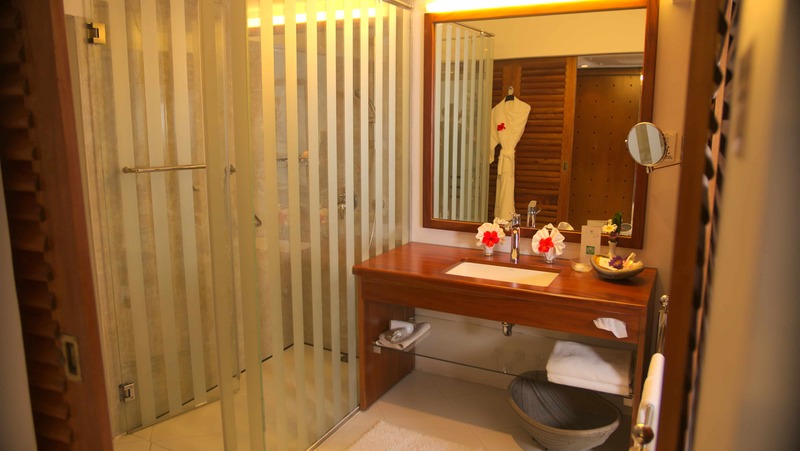 Walk-in large shower with rain shower, cosmetic mirror, hairdryer, separate toilet with bidet, bathrobe, slippers. Large balcony or terrace with seating group and a sunbed with deck, sea side and overlooking the swimming pool and the palm-lined garden. The rooms are on the third, top floor of the house. Occupancy 1 or 2 adults. Additional facilities of these rooms with water heaters for the preparation of coffee and tea, the further DVD player. Videos are available free of charge at the hotel reception. 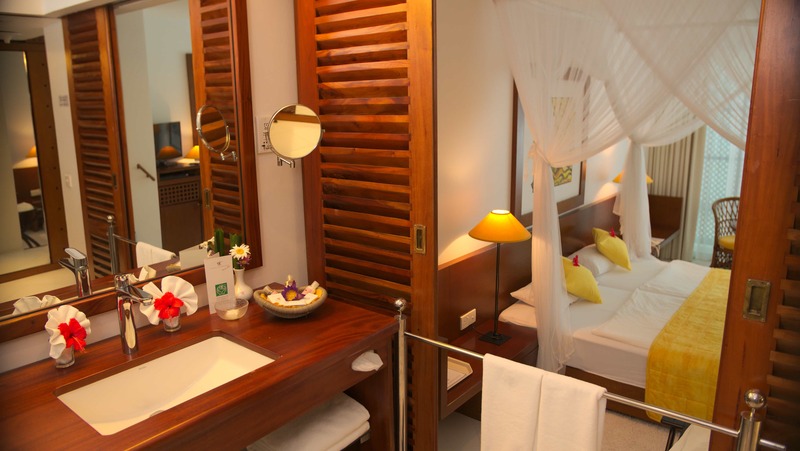 Enjoy a particularly relaxing and relaxing holiday in a privileged and best location. All SUPERIOR PLUS rooms have tiled floor, the elevated entrance and the area of the bathroom is separate from the living / sleeping area optically over two steps.